To re-learn and improve: playing tin whistles, singing, Garageband (audio) and iMovie software. 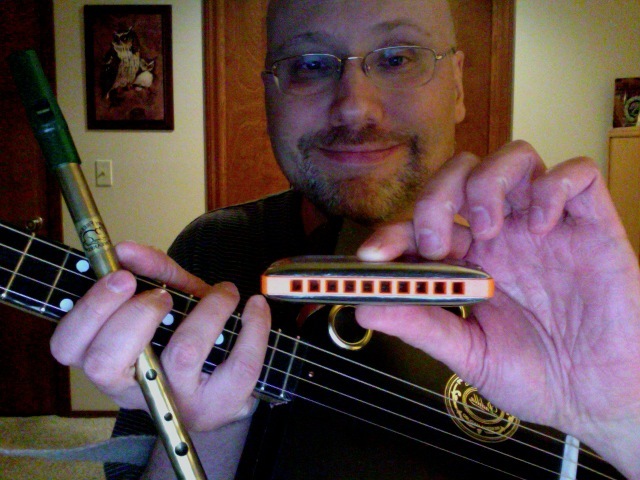 To learn: harmonica, cigar box guitar, other software. To practice consistently: meditation, exercise (damn, I need to get in better shape!! ), and activities listed above. To later create: more experimental music and strange videos to go with the music. Also, more band videos. Will likely head back to The Crux fairly soon. To work on later: printing out nature and other photos in various ways and sell them. And not beat myself up when I don’t accomplish all my goals! Maybe I have too many goals? It’s hard to know what to work on! I feel sometimes I should devote more time to art, and especially to writing, and spend far less time trying to learn to play music. I don’t know. It’s tough when so often nothing feels really right. But better to have some goals than no goals. It’s the inertia principle.. it is a lot easier to change direction once in motion. I’ll work on the things I’ve listed in this post, and through working on them, figure out what to devote more or less time and energy to.